Published on 20 October 2012. I must have walked past this plaque on Osbourne Road in Jesmond tens or hundreds of times, yet never noticed it! 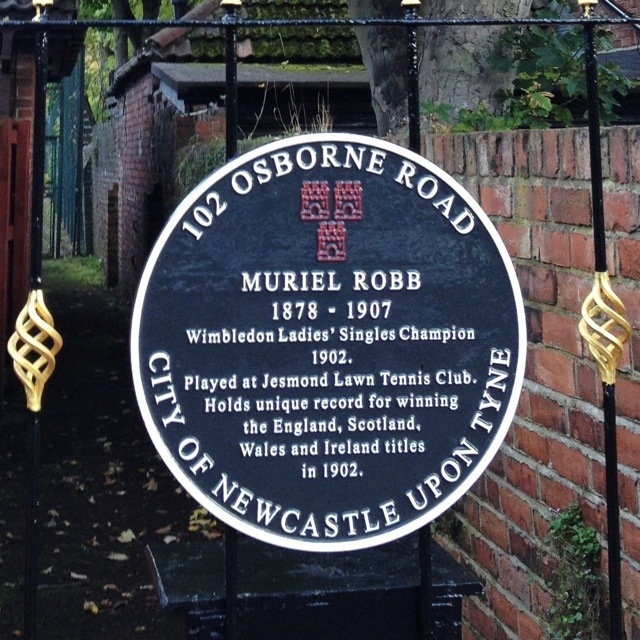 Muriel Robb won the 1902 Wimbledon ladies’ single final in a match which was the longest on record at the time, beating Charlotte Sterry. This 1,857th post was filed under: Photo-a-day 2012, Jesmond, Newcastle-upon-Tyne, Sport.